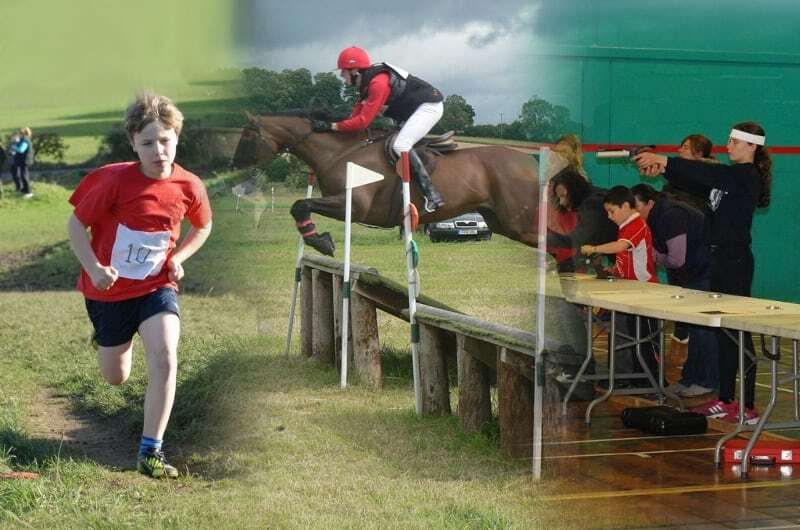 The Area 5, 7 and 9 National Tetrathlon Championship Qualifier 2018 took place at both Whitfield Farm, Ettingham, Warwick, courtesy of the Wakeham family (cross country ride, shoot and run phases) and at the Newbold Comyn Leisure Centre, Leamington Spa (swim phase). It was a fantastic event! All those that took part commented on the lovely atmosphere! We were all made to feel exceptionally welcome by the Wakeham family. Many of our competitors enjoyed camping and stabling with the Hutsby family who are local to the event. The Chief Stewards for the weekend were Andy Frame and Judy Hardcastle. They were both exceptionally impressed with the cross country course and going considering the lack of rain. The whole course had been watered and where necessary the rutted ground had been rolled and crushed to remove the lumps and bumps. The Wakeham family were still checking and preparing the ground on the evening prior to the event to ensure it was as good a surface as possible for the competitors and their horses. Area 5 had competitors in the Open Boys, Junior Girls, Junior Boys, Mini Girls, Mini Boys and Tadpole Girls classes. Russell Wingfield (Open Boy) from Aberconwy came in 2nd place with some stiff competition achieving the highest ride score of the boys qualifying for the National Championships. Orlagh Toner (Junior Girl) from Flint and Denbigh had a fantastic clear ride on a technical course qualifying for the National Championships. Archie Peffers (Junior Boy) from Waen-y-Llyn was placed 5th qualifying for the National Championships with a clear cross country ride. Archie said that he enjoyed the cross country course so much he would like to go round again! Leah Lamb (Mini Girl) from Flint and Denbigh came in 6th place. Leah had the smallest pony, at 11.2hh, of the day to go around the cross country course! She was absolutely delighted to achieve an almost clear cross country ride with only one very unlucky stop. Isabella Stone (Mini Girl) from Flint and Denbigh put in a very credible performance. Well done Isabella. Thomas Johnson (Mini Boy) from Cheshire Hunt South achieved 2nd place. Daisy Stone (Tadpole Girl) from Flint and Denbigh came in 2nd place with Best Swim. Constance Wright (Tadpole Girl) from Flint and Denbigh came in 4th place with Best Shoot. Polly Johnson (Tadpole Girl) from Cheshire Hunt South achieved 5th place! A great performance by all our Tadpole Girls in a tough class of 12 competitors. Toby Johnson (Open Boy) – East Cheshire also gained a place to compete at the National Championships as Toby is currently part of the GB International Tetrathlon team competing in the USA. 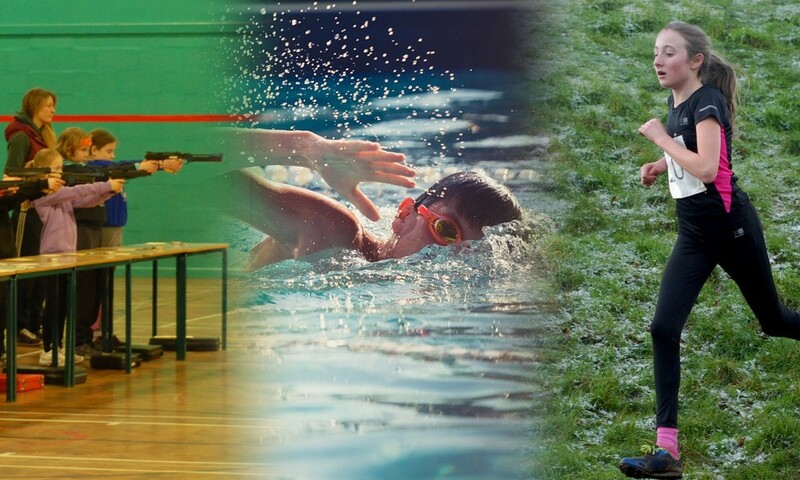 The National Tetrathlon Championships which are to be held on August 9th – 12th at Offchurch Bury near Leamington Spa. The Grassroots Tetrathlon competition is to be held at the same venue on August 10 – 11th. £25 per half day session or £40 per day. Nicola is an excellent coach and these are well worth attending whether planning to take B test this year or next. Book in with Debbie Miller d.clwydfro@gmail.com 07739 551444. Cheque to Area5 of the Pony Club. 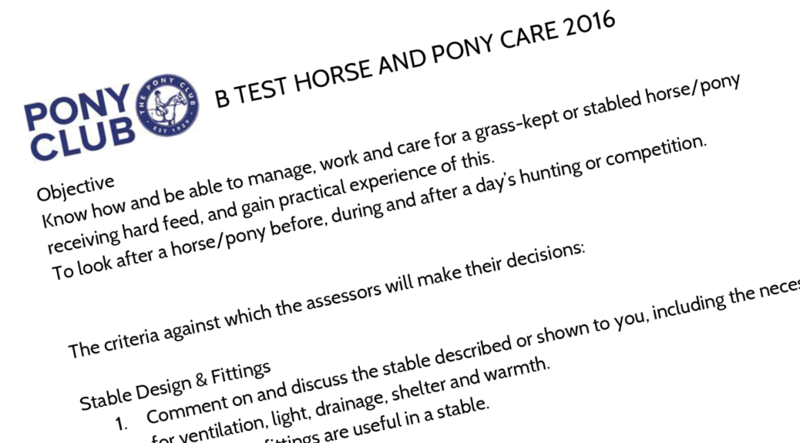 B Test Tuesday 28th August, same venue from 10am . Download nomination form from website and post with payment of £40 per section to D. Miller, Clwydfro, Rhewl, Ruthin, Denbighshire LL15 1TP. Closing date Monday 20th August. One more member to join the OPEN Area event team at the Champs in Cholmondeley.